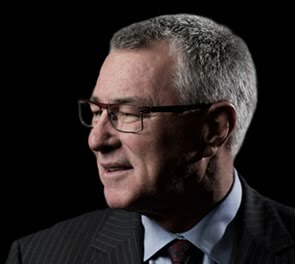 Eric Sprott is a Canadian hedge fund manager and founder of Sprott Asset Management. He became a billionaire on paper with the initial public offering of Sprott Inc., the parent of his Sprott Asset Management firm. "I think the plan was, let’s knock the hell out of gold and let’s get people to cave on owning gold. The interesting thing was the exact opposite happened. There is not a data point on gold where we don’t see changes in demand by 100%, or even many hundreds of percent. Whether it’s US Mint sales of gold in April, I think they went up by 1,000%, the Canadian Mint sales are up 128%, we see Chinese data where I think the number was up 300%. I think the World Gold Council said that India would import at least 100% more than they did last year (during the same period) in the second quarter. So we see all of these numbers are in hundreds of percent change, whereas the supply of gold from the mining side will probably be down. The supply of recycled gold will be down significantly with the price having come off here. So I think that this raid totally backfired, and unleashed a torrent of buying. years of experience in the investment industry. After earning his designation as a chartered accountant, Eric entered the investment industry as a research analyst at Merrill Lynch. In 1981, he founded Sprott Securities (now called Cormark Securities Inc.), which today is one of Canada's largest independently owned securities firms. Eric Sprott is one of the first people to recognize the coming precious metals bull market in 2000.